Commonland has always advocated that it takes at least 20 years to restore a landscape. This of course doesn’t mean that results aren’t tangible before. On the contrary: the Spanish landscape is a wonderful example of this. Several different practices and projects have already been successfully implemented. One of these successes is the use of Land Life’s cocoons. 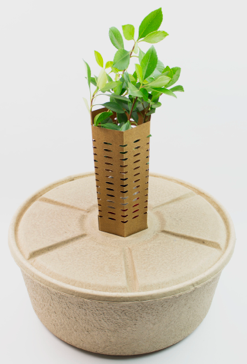 The cocoons are designed to support a seedling through its critical first year. On Mrs. Santi Sanchez’s land, aromatics have been planted in these cocoons and they are flourishing! A positive future perspective. To capture water, key-line holes and swales have been created by members of our Spanish partner AlVelAl. These interventions have been implemented on a large scale: already 10 farmers have swales on their farm and have indicated their satisfaction with the results. Within the swales, which are often dug alongside planted hedges and borders, aromatics and bush are planted. Thanks to these swales the plants will be increasingly productive; helping to build soil fertility and biodiversity, capturing moisture and sequestering carbon. 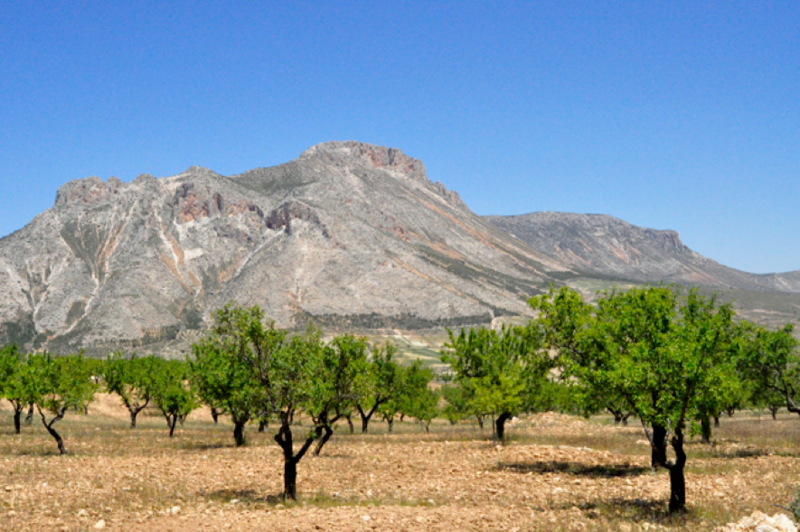 The restoration of the natural zone in La Muela, Los Velez, includes a reforesting project of native species to increase the resilience of the landscape. With the support of Ecosia and the dedicated efforts of the Velez Blanco community, 50,000 trees have been planted and over 400 days of work created. This vital work will increase biodiversity, protect ecosystem services, job security and bring hope to La Muela and beyond. 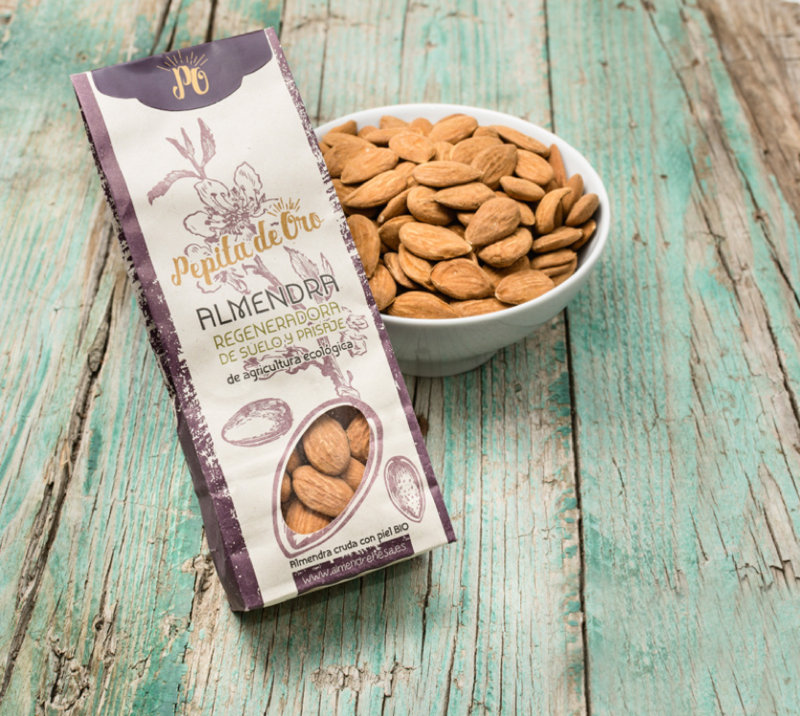 AlVelAl’s Gold Nugget, marketed by La Almendrehesa, has already landed in Germany markets and they have attended the most important fair in the ecological sector: Biofach on February 14 at Nuremberg. In addition to the almonds, AlVelAl also presented their essential oils and aromatic plants of the Jarpil at Biofach. In April, coordinators from all over Europe came together to organize the first Re-Generation Festival in the territory of AlVelAl and from 28-30 September 2018 everybody is invited to celebrate, revitalize and regenerate. The Re-Generation Festival will offer a wide range of curated music, exciting workshops and performances, created in the spirit of celebration and regeneration. Check it out on their newly released website.